Today, started off with a nice yellowfin tuna bite. Then we caught a few wahoo while trolling. We switched it up a bit and headed to another location to fish the bottom. 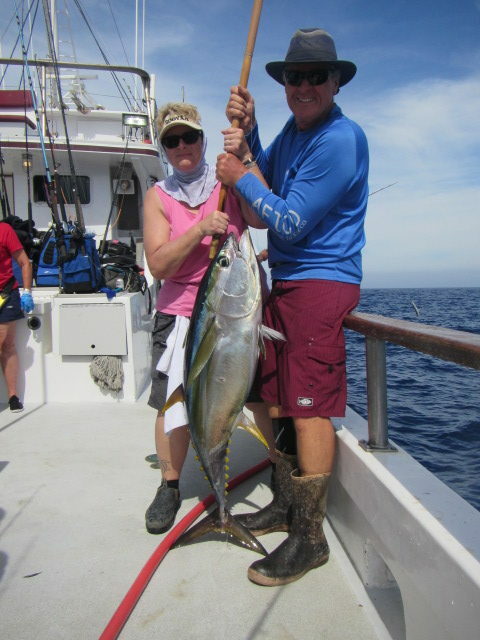 We had some good results on yellowtail and grouper. The best method of catching yellowtail and grouper was live bait on a dropperloop. The sun is out and the weather is nice so we will see what the rest of the day brings us. 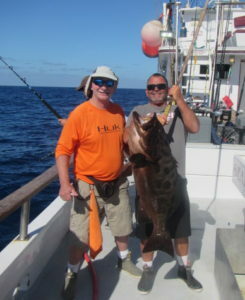 Wish us luck, Here is Ronald S. with his premium leopard grouper. 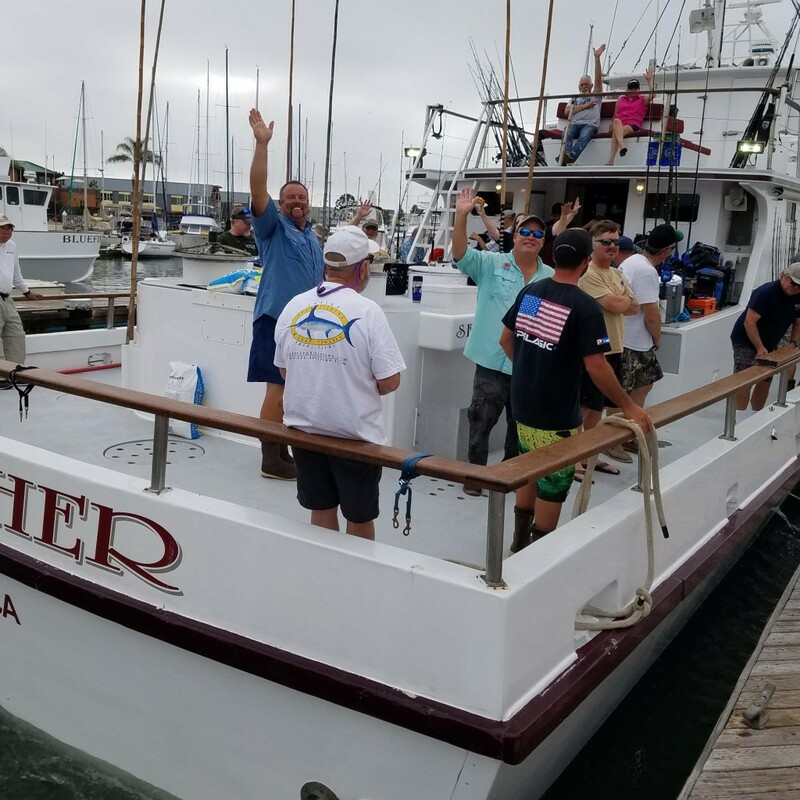 ~Captain Shawn and Team Searcher. 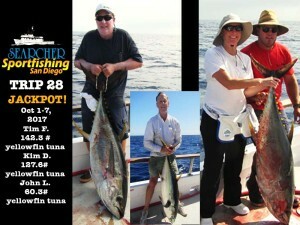 Good Morning fellow anglers, Yesterday, we had another exceptional day of fishing on wahoo and tuna. 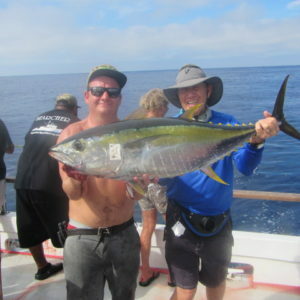 Most of the yellowfin caught today are what I call primos. 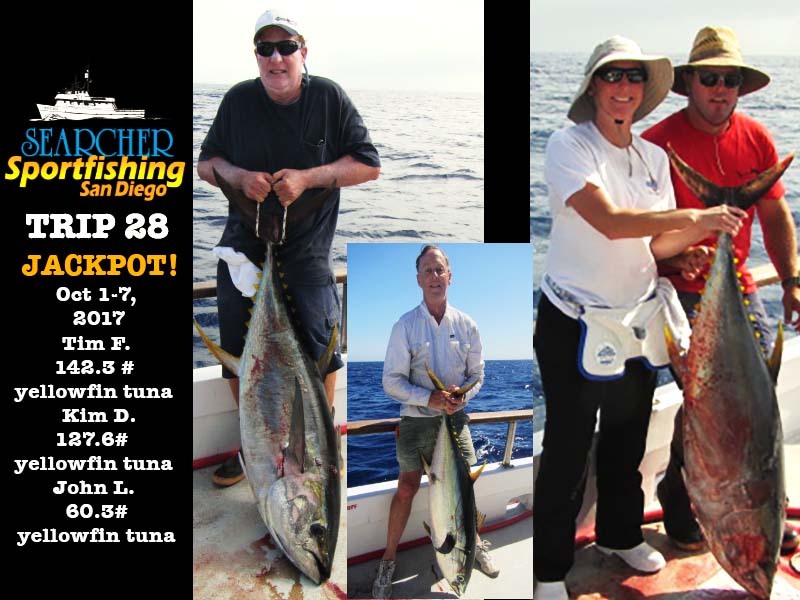 Tunas range from 25 to 45lbs. They were biting best flylining with 40 lb test, 40lb flouro and Owner 3/0 hooks. 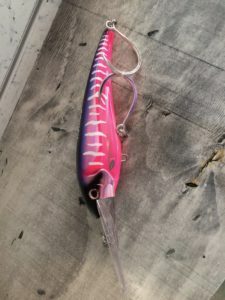 Almost all of are wahoo caught today were on wahoo bombs or fly-lined baits after jig strikes.The best lures to troll with were Nomads and Marauders. (Nomad pictured below.) Our weather was nothing short of fantastic! Flat calm seas with a light breeze. We are going to stay put today, Wish us luck. 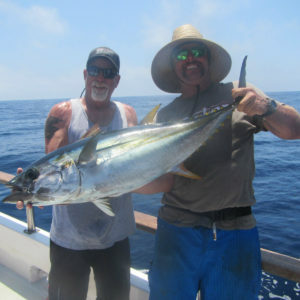 Here is a shot of Captain Mike and Terry W. with a breathtaking yellowfin tuna. 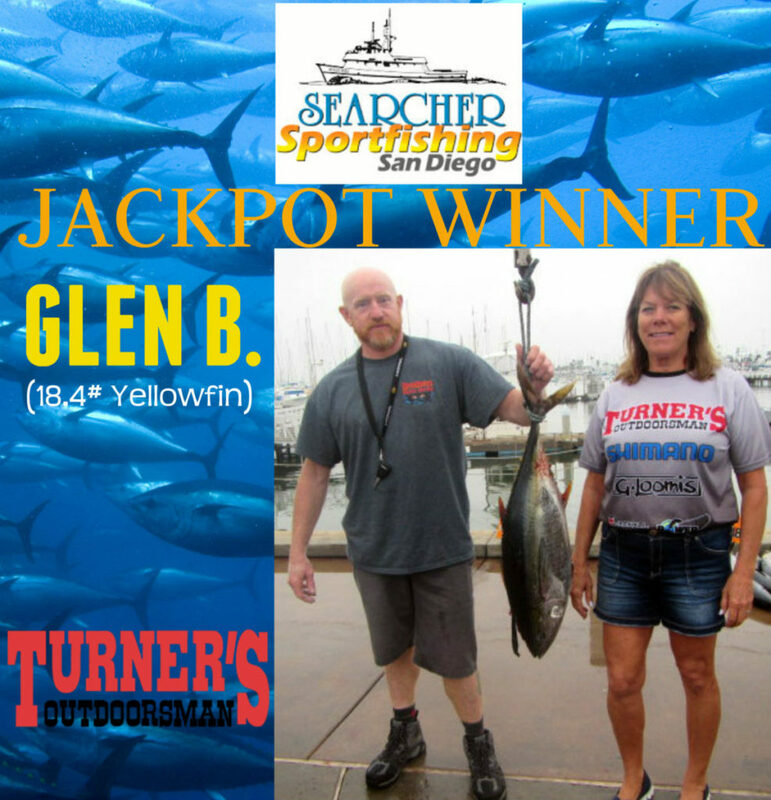 Today we had a good pick on yellowfin tuna 25lbs to 75lbs. Tackle tip for the day, was a 7 foot rod and 40lb with fluorocarbon and a 1/0 hook small sardines have been working the best for our anglers so far. 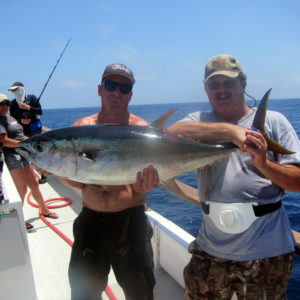 Heres Mark Stout and Captain Mike with a 40lb yellowfin. More to coming, stay hooked. 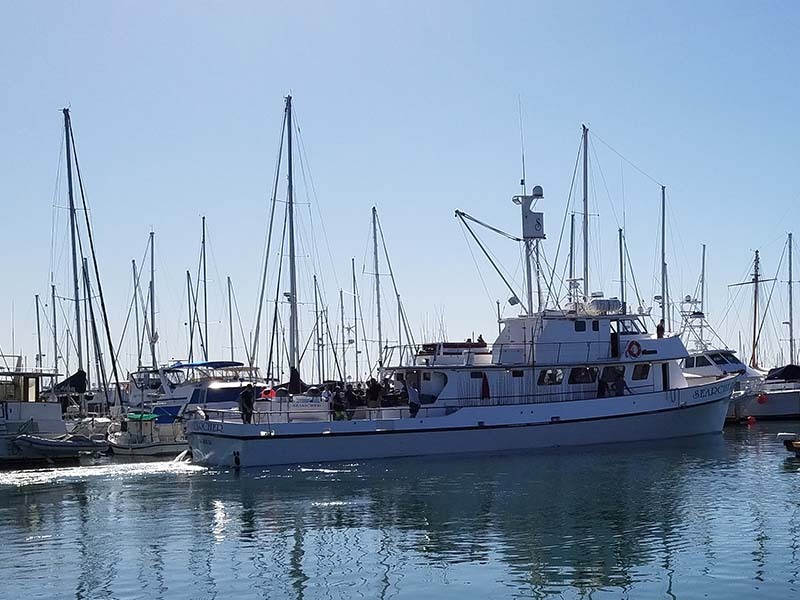 ~Captain Shawn and Team Searcher. 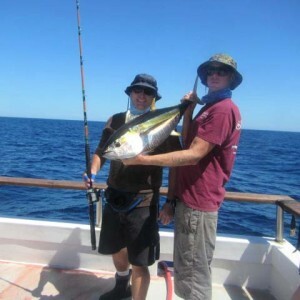 This morning we are catching quality fish and being able to focus on bring them on deck. We are having fun fishing. The best chance at a bite is with 40lb test and 1/0 hooks, which makes this very challenging due to the size of the fish (biggies), but we are up for the challenge! (it is called sportfishing after all.) Wish us luck this afternoon. 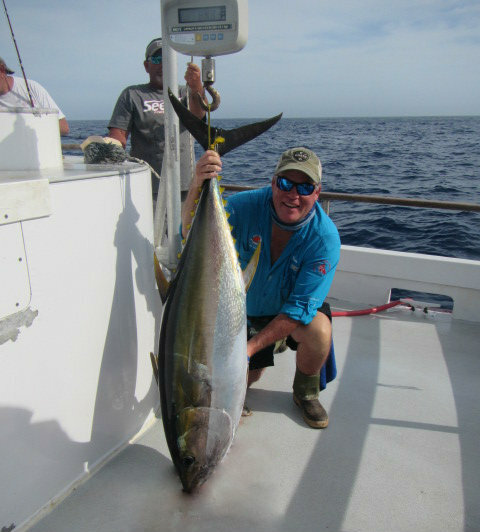 Here is Dan T. and Captain Aaron with a 45lb yellowfin. 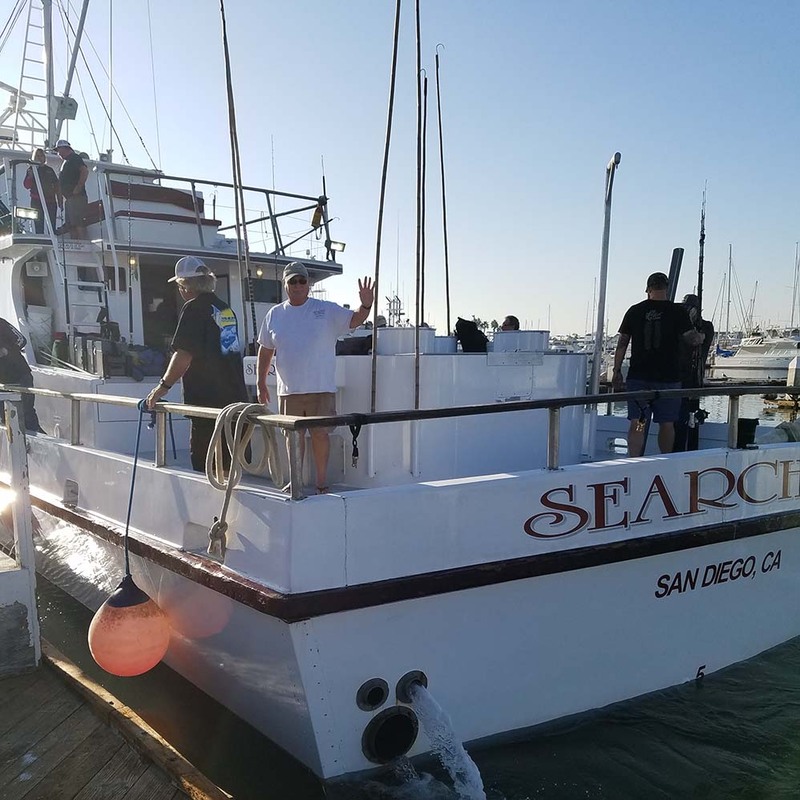 ~Captain Shawn and Team Searcher. Trip 10 (5-day) Izorline- and Turner’s-sponsored trip is off and running!